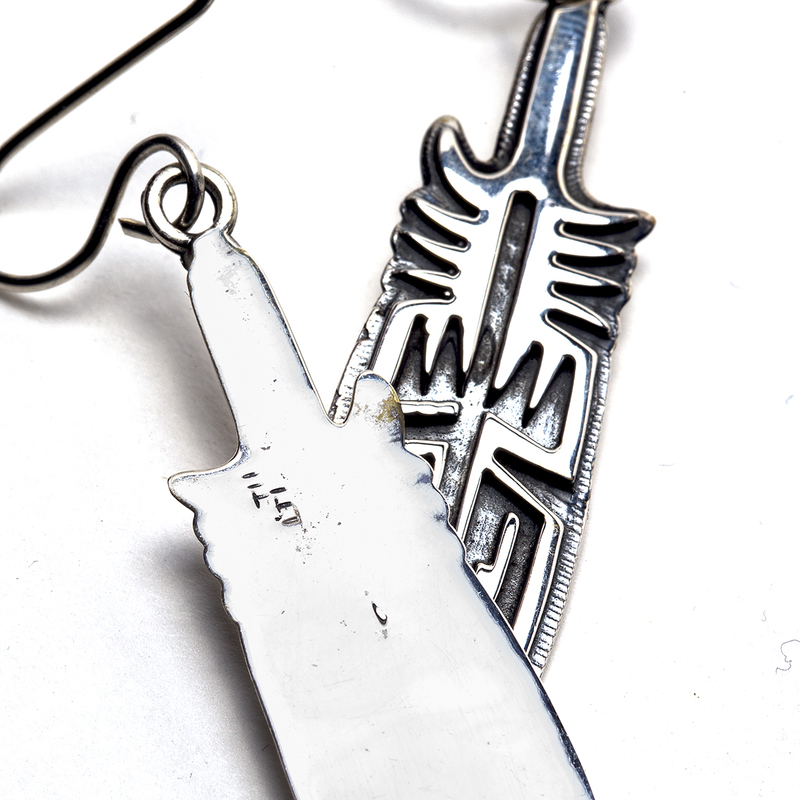 Perfect for any southwestern or boho look! Feathers are significant to many Native American tribes as a form of protection against all harm. Bless yourself with these beautiful feather earrings created with overlay look and textured backgrounds. 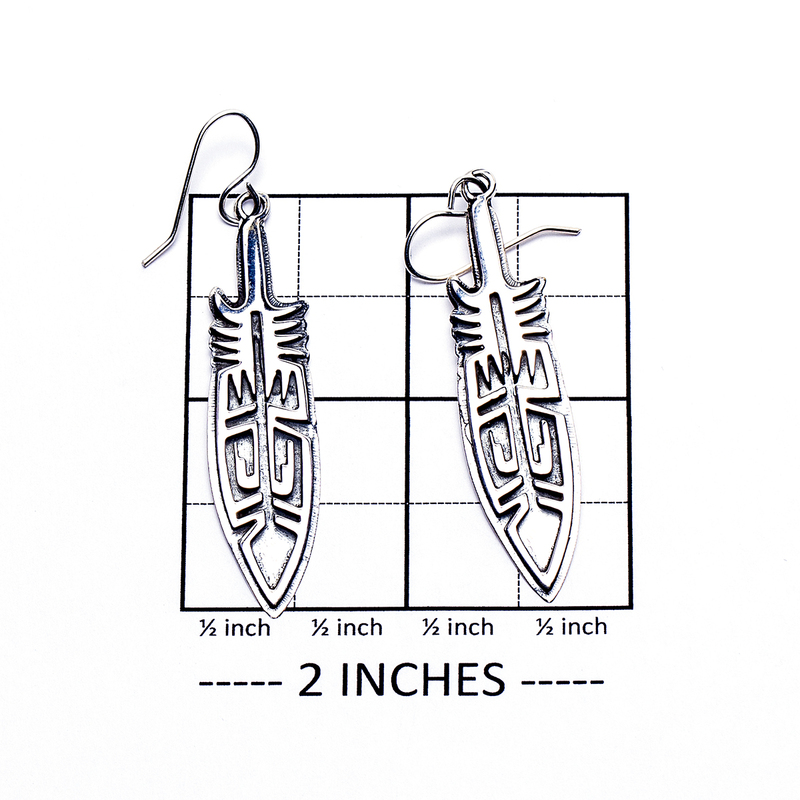 These earrings measure 2 1/2″ in height including sterling French hooks by 1/2″ in width and weigh 6.9 grams. They are guaranteed to be Sterling Silver. We also offer free gift wrapping with each purchase. 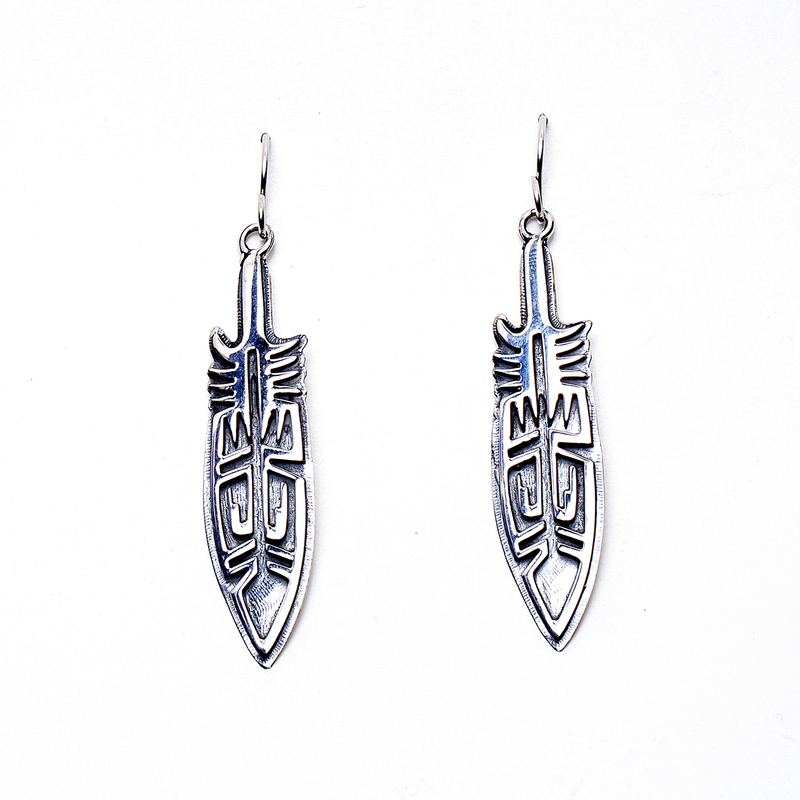 Native American Feather Pattern Earrings are handcrafted works of beauty made from Sterling Silver by this talented and one of a kind artist!